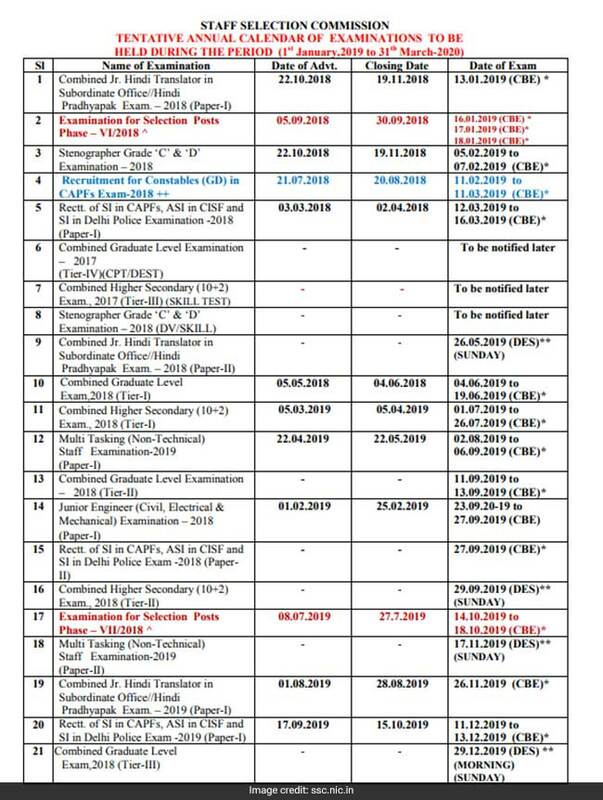 SSC Calendar 2019: The Staff Selection Commission (SSC) has released the examination and notification calendar for year 2019. 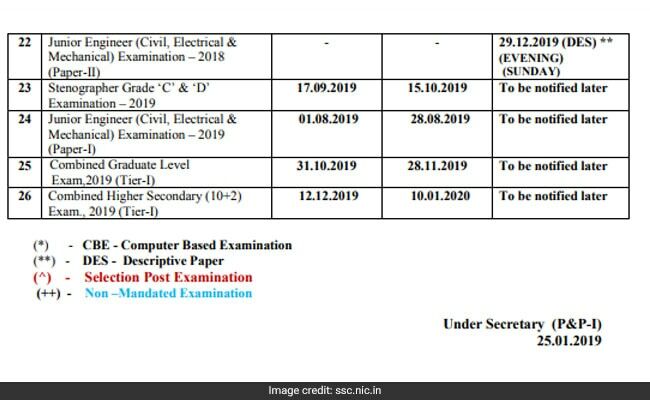 SSC Calendar 2019: The Staff Selection Commission (SSC), a central government agency which organises recruitment to Group 'B' (Non-Gazetted) posts and Group 'C' of (non-technical) posts under Government of India and their attached and subordinate offices, has released the examination and notification calendar for year 2019. According to the SSC Calendar 2019, the Combined Graduate Level exam or CGL 2018 tier 1 exam will be held in June, 2019 while the Combined Higher Secondary (10+2) Exam or CHSL 2018 notification will be delayed further and now will be released in March. The SSC will release official advertisement for Junior Engineer (JE) exam on February 1. The SSC was supposed to release the notification in December. The SSC Calendar 2019 was released on the official website of the Commission, ssc.nic.in.